The Ancient Mariner. Made from 100% British grain this London made gin has a smoothness married to a lovely Juniper aroma. 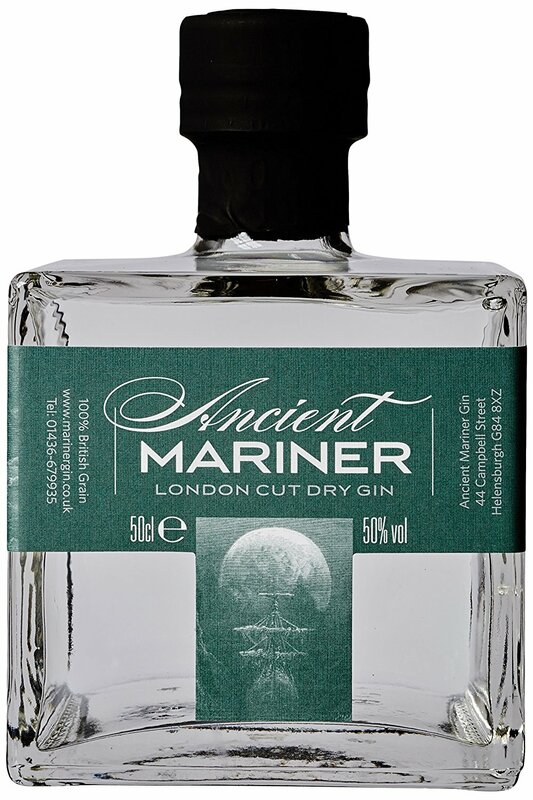 Inspired by the Coleridge's masterpiece, Ancient Mariner Gin recalls one of the most memorable poems in the English language. From the terrifying space of the open ocean, the storms and whirlpools of an unknown sea, the vast icy caverns of Antarctica and to the hot equatorial seas swarming with monsters, all these visual elements combined with the magnificent engravings of Gustave Dore, have made a lasting impression with mariners throughout the world both at publication in 1798 to this very day. The haunting story of the Ancient Mariner who shoots the Albatross, bird of good omen, still resonates with thoughts of good and bad luck with sailors everywhere. Botanicals; This is a very simple, clean gin using just four botanicals: juniper, coriander, angelica and savory. Features; Nose: Herbal nose with tangy fresh juniper & hints of oily spices. Palate: Earthy juniper delivery. Dry and crisp, with a good interplay between the other botanicals. Hints of citrus develop. Finish: Peppery finish.